Pencil sketches of Jayne and Shaun. The client wanted sketches of her friends for their wedding. 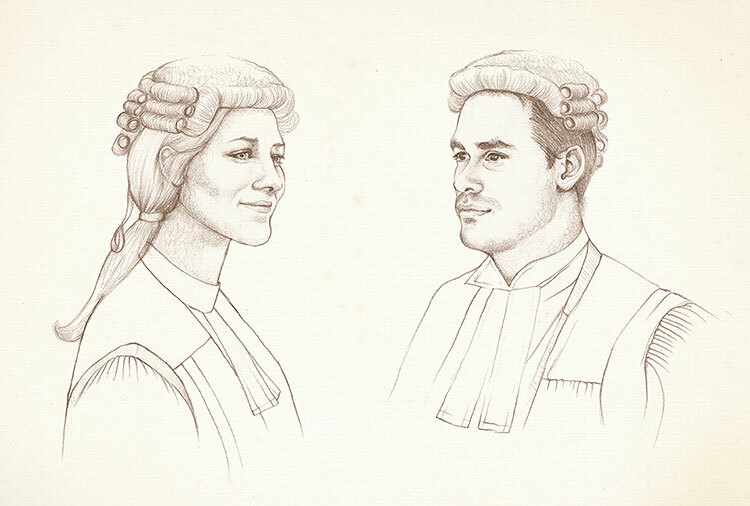 They are both barristers.